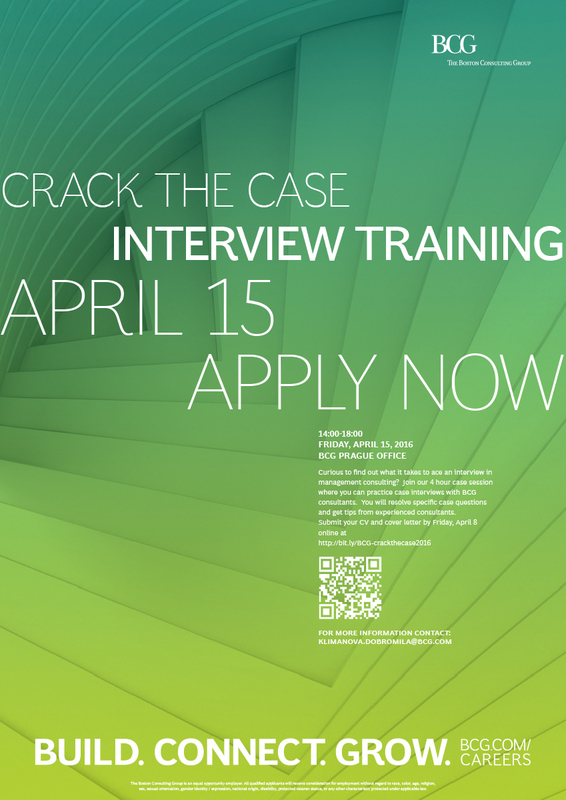 We are pleased to inform you that our partner The Boston Consulting Group will be hosting a marvelous Crack the Case Interview Training workshop for consulting enthusiastic students. 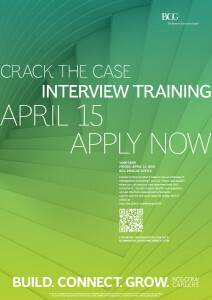 If this strikes your attention, Crack the Case is a great to participate in 4 hour case session where you can practice case interviews with BCG consultants. You will resolve specific case questions and get tips from experienced consultants. The event will take place on Friday, April 15, 2016, 14:00-18:00 at BCG Prague office spaces at Forum Building, entry from the Jindřišská street. If you wish to register, you can do so submitting your CV and Cover Letter online at http://bit.ly/BCG-crackthecase2016 by Friday, April 8.